You can not confuse that ghostly glow with anything else. 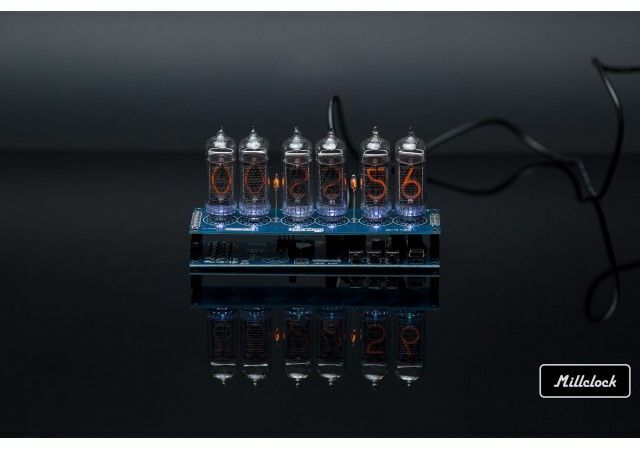 The nixie tube clock is a rare thing reminding the past times full of romance of Soviet Union. You can not confuse that ghostly glow with anything else. 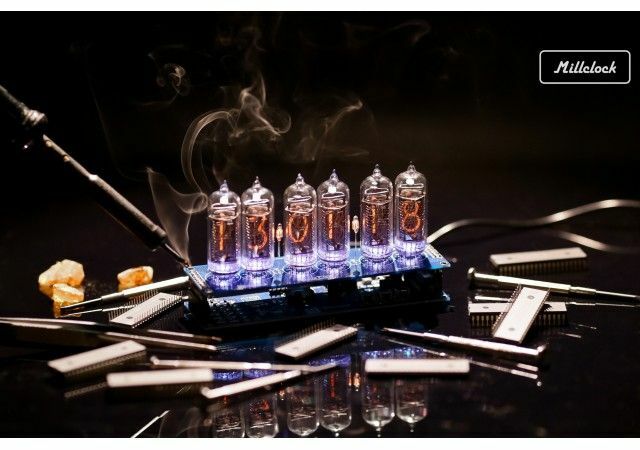 The nixie tube clock is a rare thing reminding the past times full of romance of Soviet Union. And not just that! 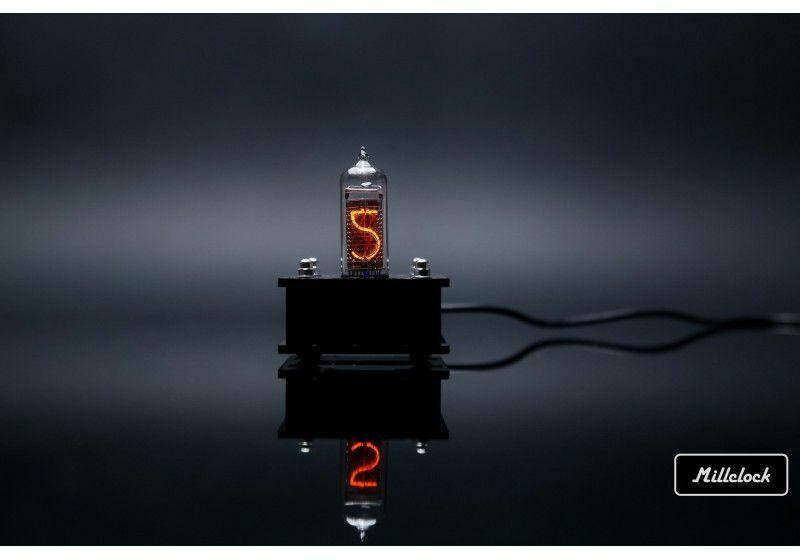 The well rounded numbers in tubes can be easily read because they are of bright orange color. Even in complete darkness or poor light you will see the exact time. 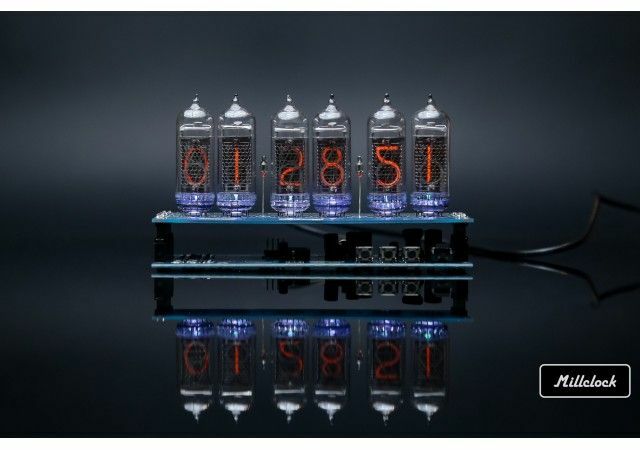 This is the product of Ukrainian company Millclock which is known by its high quality and perfect service. 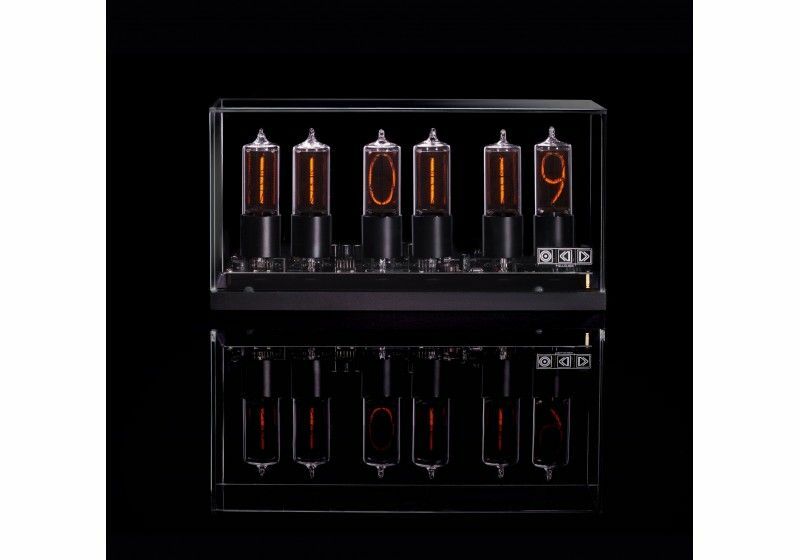 This clock without enclosure can indicate year, month, day, hours, minutes, and seconds. You can arrange the backlight just in operational mode by one click, choosing the color of the light or just turning them off. 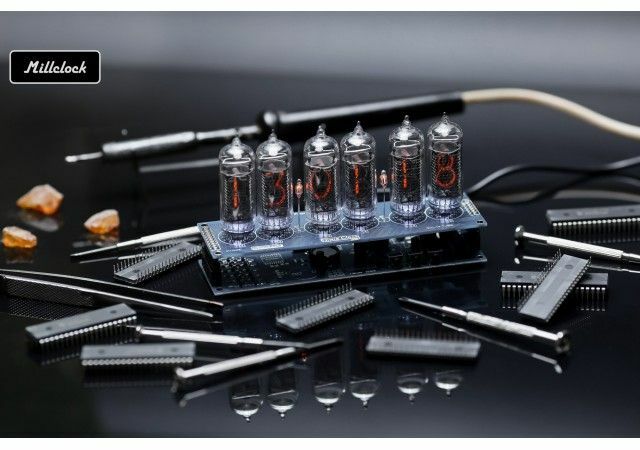 There is a gradual switching of numbers which can be applied if you want to see how the numbers are replaced by the others smoothly. Also you can benefit from the mode of separation colons, GPS function, remote control. All those features should be selected in drop-down menu. 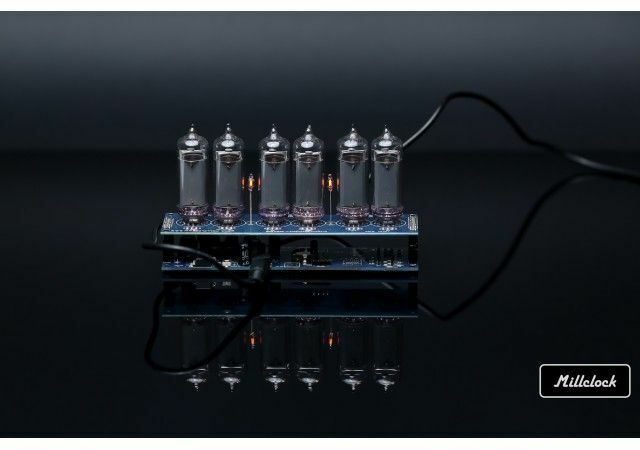 As to the power, you are offered two variants: to use them autonomously or plug in EU socket, for the last case your country adapter is included. 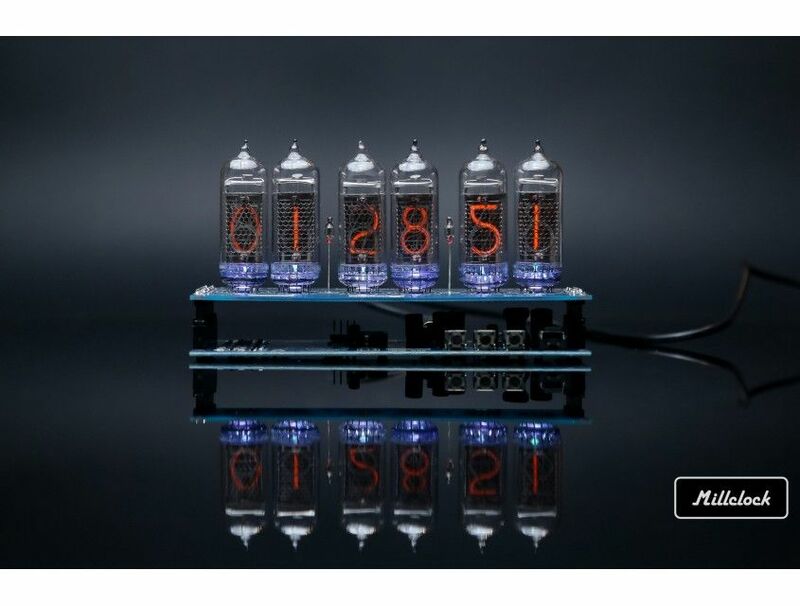 • Distinctive time indication with bright lighting. • Availability and relevantly low price. 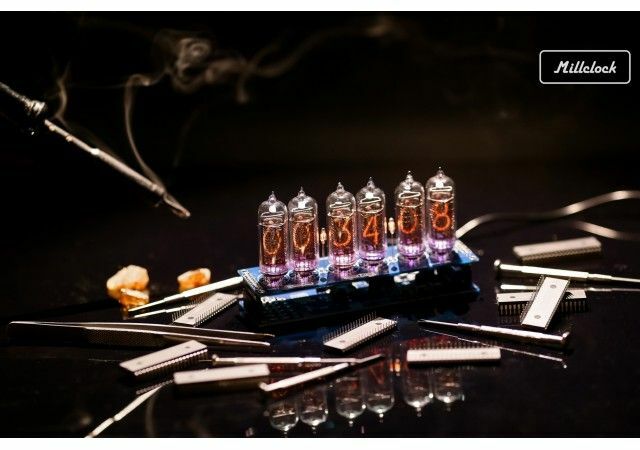 • Reliability due to the fact that every number is lit separately being able to operate regardless of the rest. 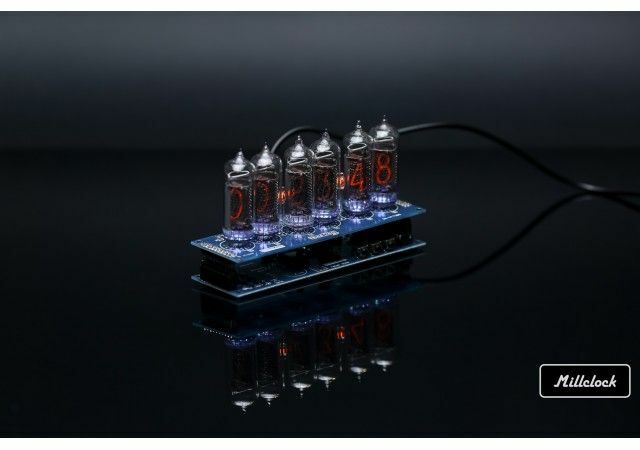 You can order this model at our e-store and we guarantee the accurate delivery and replacement if there is something unexpected in a package! We love our clock! This version didn't come with the wood base, but my boyfriend made this base for it. It's a perfect unique item for our living room. Great Seller and would recommend! 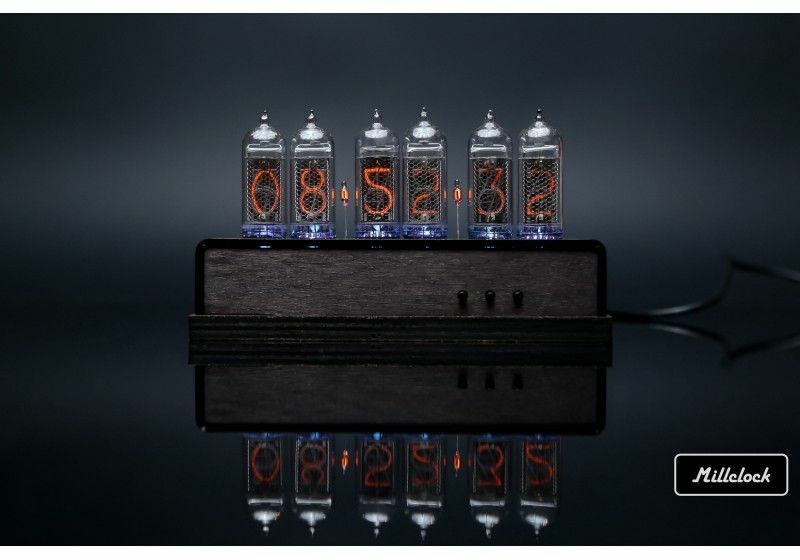 clock Nixie tubes look amazing!